Robust adaptive synchronization; dynamical network; multiple delays; multiple uncertainties. In this article, a general complex dynamical network which contains multiple delays and uncertainties is introduced, which contains time-varying coupling delays, time-varying node delay, and uncertainties of both the inner- and outer-coupling matrices. A robust adaptive synchronization scheme for these general complex networks with multiple delays and uncertainties is established and raised by employing the robust adaptive control principle and the Lyapunov stability theory. We choose some suitable adaptive synchronization controllers to ensure the robust synchronization of this dynamical network. 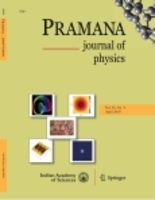 The numerical simulations of the time-delay Lorenz chaotic system as local dynamical node are provided to observe and verify the viability and productivity of the theoretical research in this paper. Compared to the achievement of previous research, theresearch in this paper seems quite comprehensive and universal.